Liz is a Partner in the Private Client team specialising in Wills, Trusts and Estate planning. Liz’s expertise includes working with financial advisors and accountants in connection with Wills and Trusts to preserve family wealth for future generations and to ensure that estate planning structures are both robust and sufficiently flexible to achieve long term family protection. Liz advises on a wide range of Inheritance tax issues and is known for her combination of technical skill and client friendly approach. 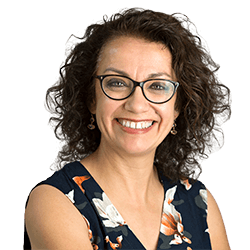 Ranked in Chambers 2017 and described as ‘highly intelligent and articulate in both spoken and written advice’ by Legal 500 2017, ‘Technically brilliant’ by Legal 500 2010 and ‘popular with clients’ by Legal 500 2012. Liz joined Clarke Willmott in 2001 after fifteen years of practice in the field of Private Client matters in Bristol and Chippenham. Liz is a member of the Society of Trust and Estate Practitioners (STEP) and lecturers to both professionals and potential clients both in person and via webinars and podcasts. Advising clients with a large family estate on a Will and Trust structure to provide asset protection and flexibility on the death of the first spouse to die followed by tax efficient and flexible Trusts for the benefit of their young daughters on second death. Assisting clients with business assets and a significant inheritance tax liability on the death of the surviving spouse. Drafting Wills and multiple trusts to mitigate any future Inheritance tax charges. Advising clients in relation to will and trust structures to maximise potential claims to multiple inheritance tax allowances.